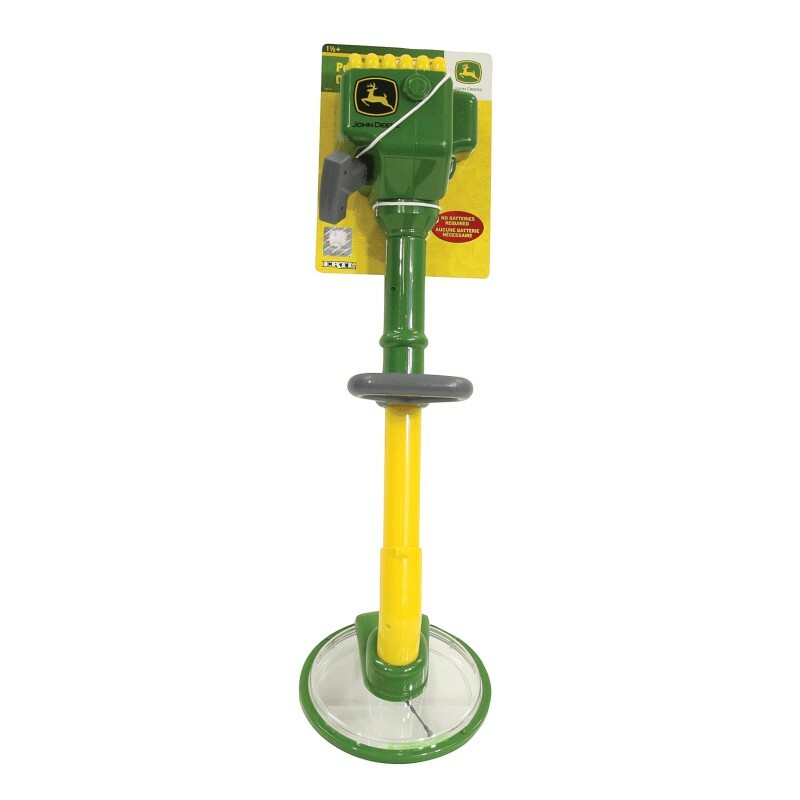 Now your little one can be like you with this John Deere Lawn Trimmer made just for their size. The bright John Deere classic colours of green and yellow along with the added details give it a look of authenticity. The amazing thing about this Lawn Trimmer is that it runs on no batteries. Batteries are not require! Just pull back the string and let it go for powerful action! The spinning reel is enclosed in a plastic shell to keep little fingers and toes safe while in play. John Deere Lawn Trimmer is recommended for children of ages 1 1/2 and older.